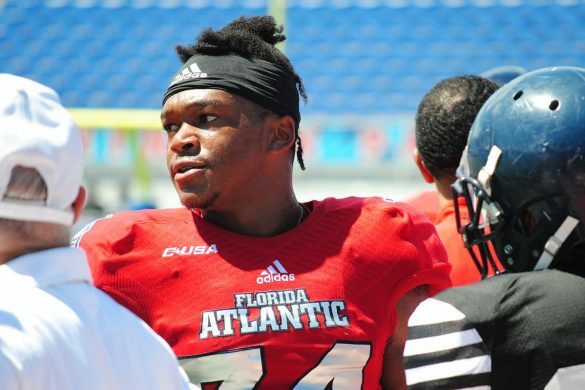 BOCA RATON – FAU defensive players didn’t need their coaches to tell them how poorly they played in Saturday’s first spring scrimmage. 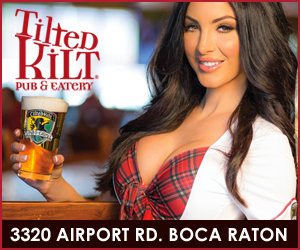 They knew – and they vowed not to let it happen again. 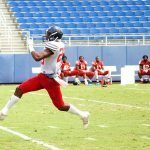 FAU’s defense surrendered a dozen touchdowns during that first scrimmage. Half of them covered 40 yards or more. “We’ve got to do our part, learn the plays, put our trust in the coaches like the coaches put their trust into us,” safety Zyon Gilbert said. In its third season under Lane Kiffin, FAU is already on its third defensive coordinator. Kiffin removed Tony Pecoraro after only one season when his attacking scheme designed to pressure quarterbacks and force turnovers accomplished neither last season. New defensive coordinator Glenn Spencer kept the same four down lineman scheme the Owls showed in past seasons, but now employs more of a read-and-react approach. 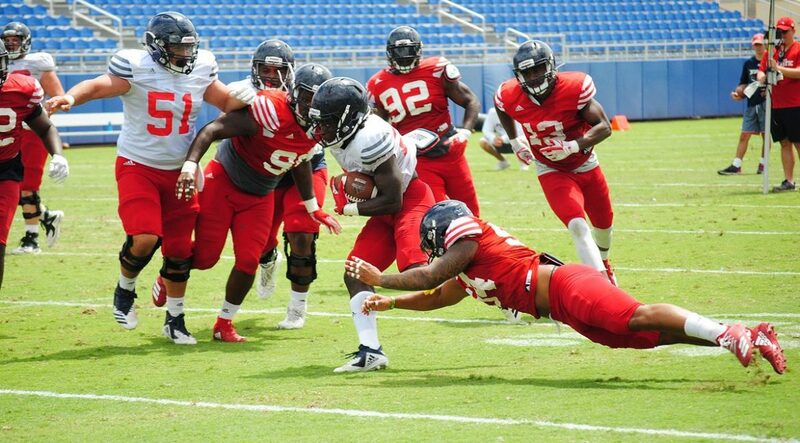 During that first scrimmage, the Owls didn’t read their keys well, often resulting in sluggish or undesired reactions. “It wasn’t anything dramatic, it was just the little details that we need to fix,” Gilbert said. 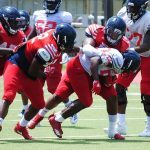 Players say they saw increased intensity and greater focus on details in the two practices that followed Saturday’s scrimmage. 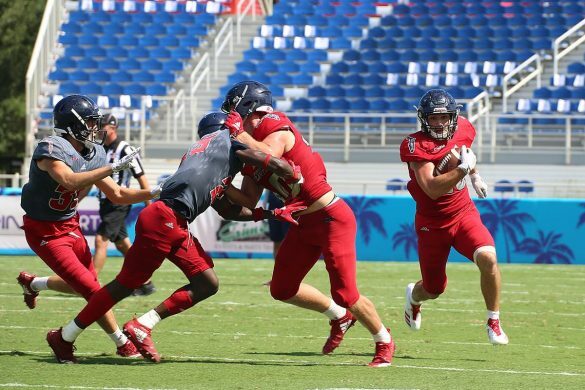 FAU’s defensive players have a public shot at redemption on Saturday when the Owls hold their second of four spring scrimmages, this one at Miami’s Moore Park. It will be the first scrimmage of the spring open to the public.